In our last edition of From the Summit, we reviewed the high volume of SoCal freight that was rejected by contracted carriers. Shortly after, availability began to improve until Thanksgiving, where capacity tightened once more. According to recent data, the market began to cool after the holiday, bringing some relief. Although this cool down is a welcomed change, we do not anticipate any additional California capacity to open up at this time. We will continue to watch the LAX market closely and provide additional updates. Taking a look at the spot market, there is little to no change for the three main equipment types. Dry van rates dropped one cent, despite the van-to-truck ratio jumping 21 percent just last week. We are anticipating rates to catch up with the demand of equipment, which should reflect a rise in dry van rates. 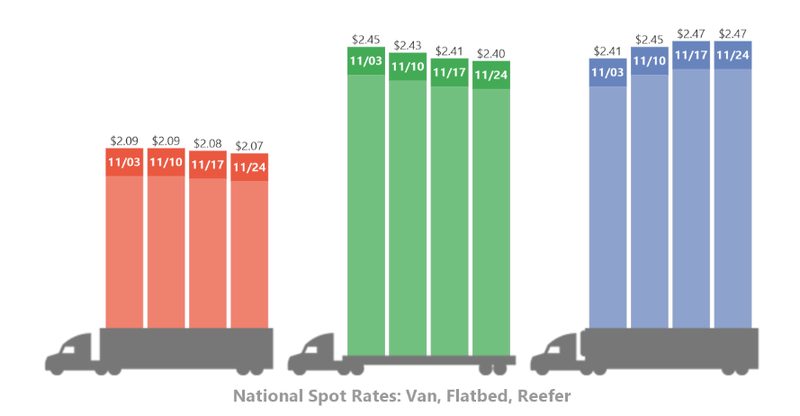 Reefer loads remained consistent at $2.47 per mile, and flatbeds have taken their annual decline as we head into the winter season. We expect to see a crunch in capacity over the next few days for EOM. At the start of December, capacity should be relatively calm. Once we are closer to the holidays, we will see a surge of shipments, a jump in rates, and a decrease in capacity with more drivers wanting to stay home. SEL will keep you updated in our next edition of From the Summit! SEL is grateful for your business and humbled by the trust you have shown in our team. We wish everyone a Happy Thanksgiving, and we hope you enjoyed your holiday weekend. Here at SEL, we are also grateful to our employees. This holiday season, we would like to highlight one of our employees that is always finding ways to give back to the community. Andre Gordillo has worked at Summit for three and half years. Since he has been apart of the SEL team, he has volunteered in countless events and programs. 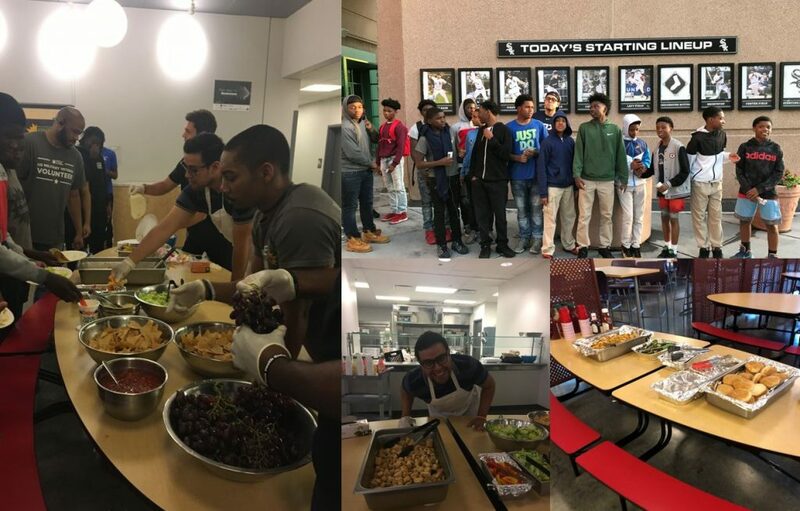 Currently, his most valuable volunteer experience is at the Breakthrough Youth Network of East Garfield Park (pictured below). This program offers the children, youth and young adults a wide variety of programs in sports, arts, academics and spiritual development; and surrounds them with a diverse network of caring adults to support their growth and expand their opportunities (breakthrough.org). Andre’s personal involvement in helping to improve the lives of young people is inspirational. What a good guy! !